O.V. 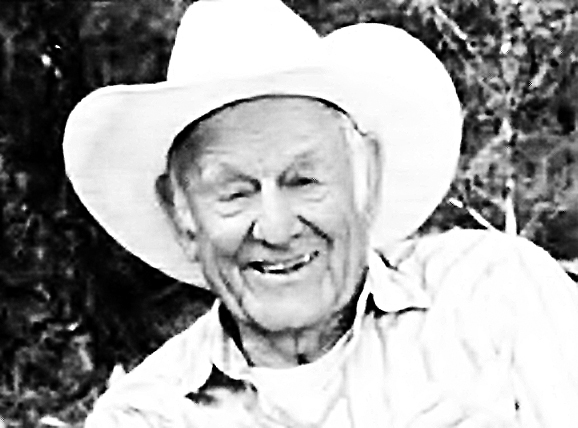 (Mac) McCurry, 93, died at home in Trego on July 30, 2012. He was born Jan. 15, 1919, in Columbus, N.C., to William and Montrey (Constance) McCurry and spent his childhood on the family farm near Marion, N.C.
After losing both parents to illness when he was young, Mac lived for a few years with his oldest sister Harriet and her family before joining the Navy at age 17. After enlistment, he was on the survey ship Hannibal, surveying the Orinoco River area in Venezuela. In very early Wordd War II, he taught gunnery to the armed guards for liberty ships at the Great Lakes Naval Station and in Gulfport, Miss. Later, he was a Navy diver for salvage operations and damage control in the Pacific. He taught damage control and firefighting at the Treasure Island station. He sailed on the Hannibal and the Dover in the Atlantic. In the Pacific, he was on the Kenneth Whiting, a seaplane tender, and hauled troops to Korea on the Koan Maru, a Japanese ship under U.S. contract, and the Breckenridge. The Whiting participated in Operation Crossroads, the atomic tests at Bikini Atoll. Mac was issued sunglasses to view the blast and maintained that was plenty of protection. He was awarded three bronze stars and attained rank of chief bos’n, chief warrant officer 4. Mac met Evelyn Fahlgren in 1948 when both were stationed with the Navy near Tsingtao, China, and they were married Feb. 19, 1949, in San Francisco, Calif. Mac was stationed in Oakland, where sons Michael and Alan were born. The family moved to Milton, Wash., in 1955, when Mac was stationed with the Pacific Reserve Fleet in Tacoma. He retired from the Navy in 1957, and the family moved to the ranch in Trego in 1960, where he resided until his death. Mac and Evelyn raised and sold cattle and Tennessee walking horses on the ranch. They also owned and operated McCurry’s Mobile Home Park and McCurry’s Trego Service, a grocery store. Mac served on the school board at Trego School and was a 4-H leader. He was a 64 year member of the Masonic Lodge, having entered the Lodge while in China in 1948. Mac is survived by son Michael and his wife Renata Schroeppel, Colman, S.D. ; son Alan and his wife Judy, Trego; grandchildren Samantha McCurry, Patrick McCurry and wife Carmein, Sara McCurry and husband Sean McCune, great grandchildren Ellie McCune and Taylor, Morgan and Ben McCurry, , brother Harold McCurry and family, and sister Faye Perkins and family. He was preceded in death by his wife Evelyn, his parents, sisters Harriet Haines and Mabel Pennington, and brother Charles McCurry. Masonic and military graveside services will be held Aug. 13, 2012, at 10 a.m. at the family cemetery on the ranch. A lunch will follow at the Trego Community Center. Arrangements are by Schnackenberg & Nelson Funeral Home.